What makes Mission Santa Clara de Asis unique is it was the first mission to be named after a woman, Saint Clare of Assisi. 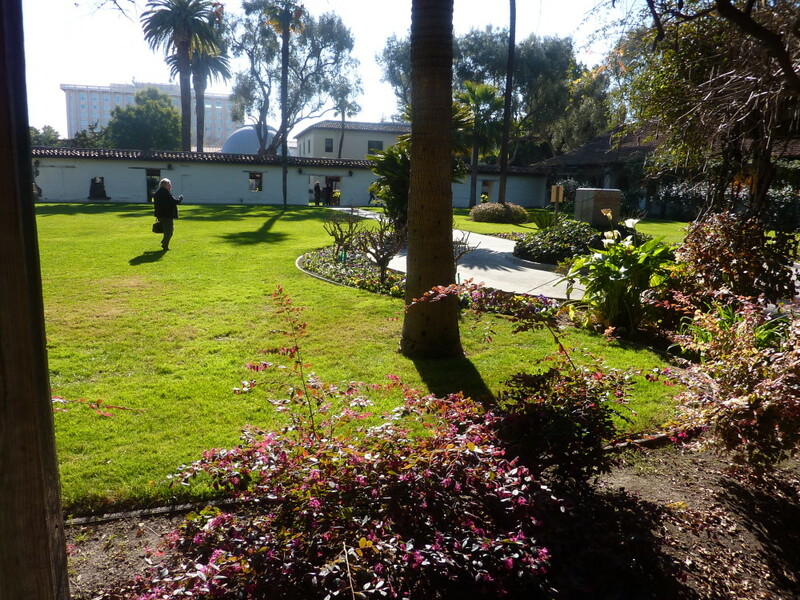 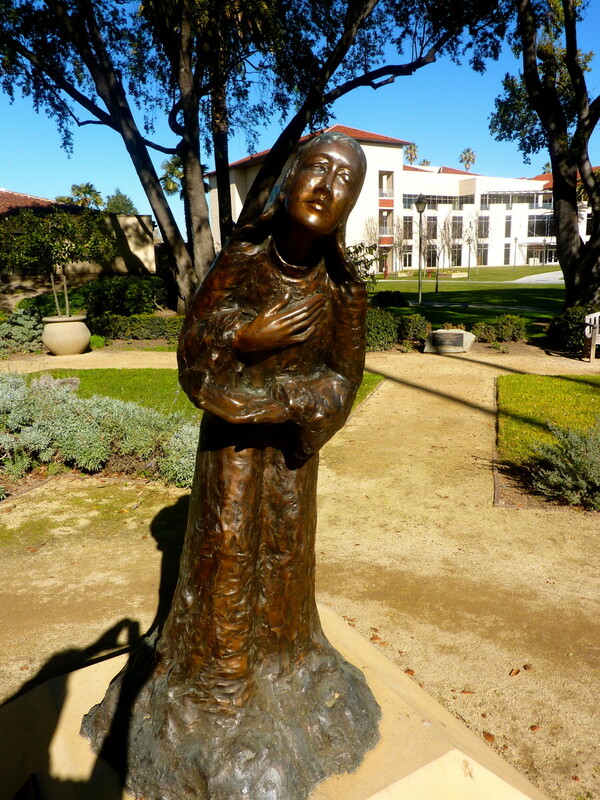 It is the 8th mission founded in California and was founded on January 12, 1777, by Friar Junipero Serra. 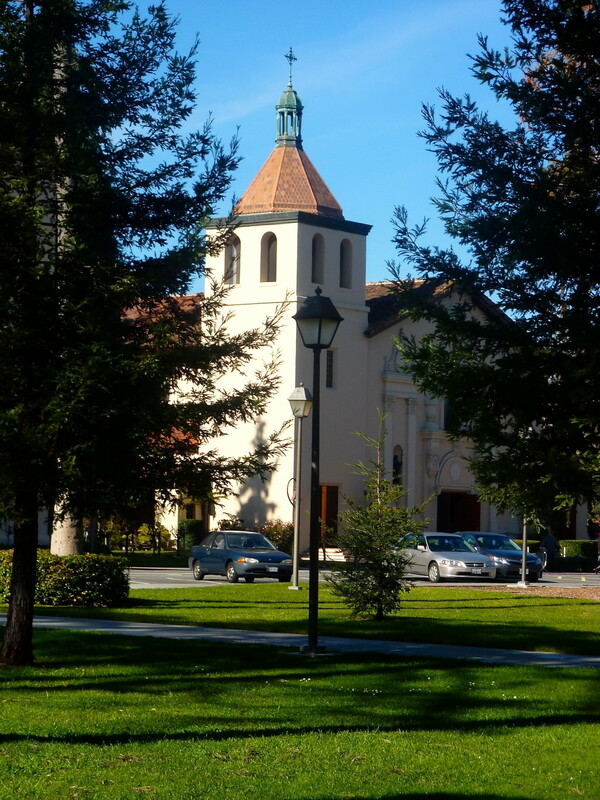 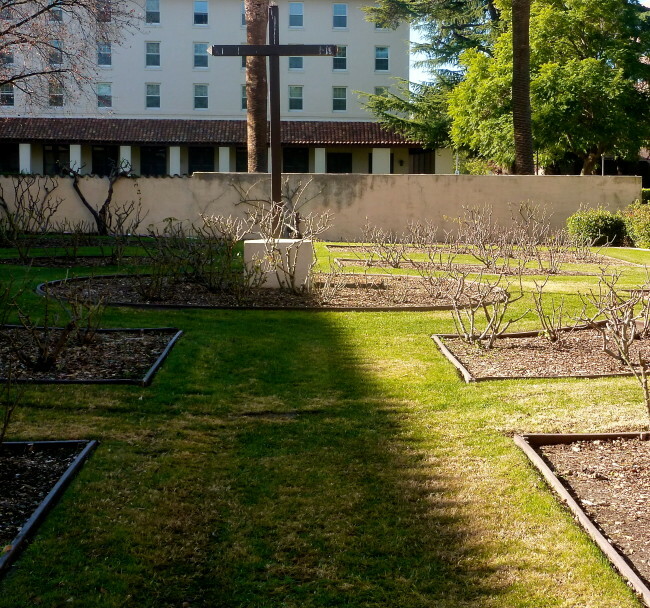 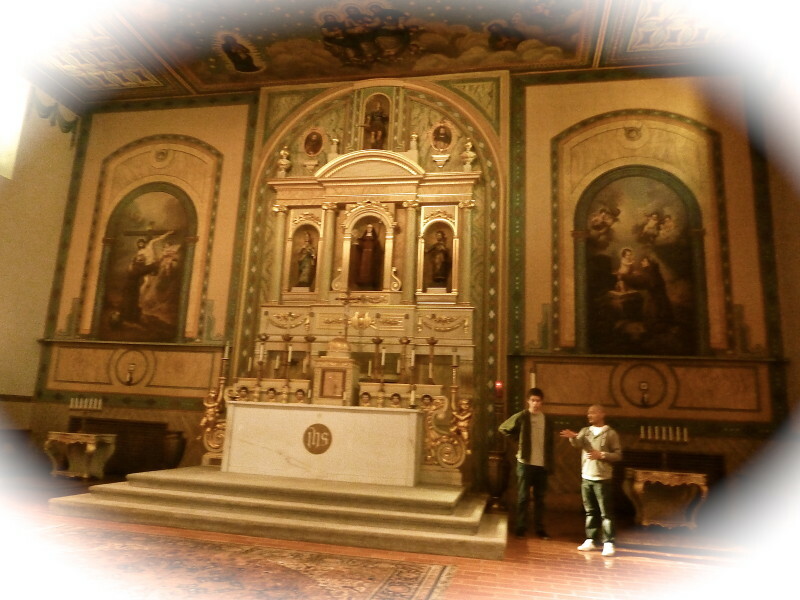 Although only the church remains, it is located on a pristine sire on the campus of Santa Clara University. 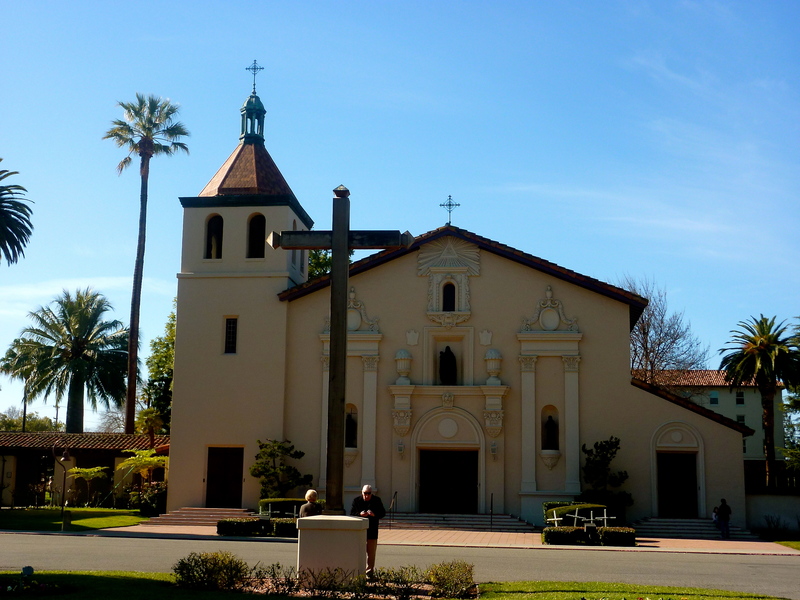 The wooden cross in front of the mission (above) is the original dating from 1777. Flood, earthquakes, and finally, a fire in 1926 set the church’s North Bell tower on flames after faulty wiring was found to be the culprit. 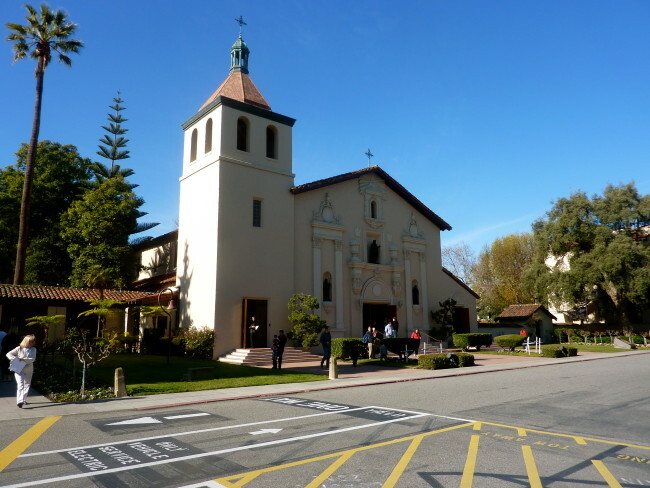 A priest who was performing the morning Mass sounded the alarm. 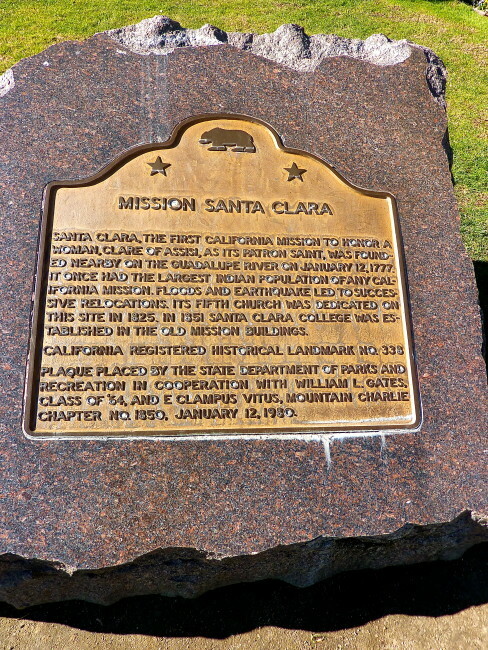 Students and faculty members tried and succeeded in saving some historical mementos, but could not save the old building. 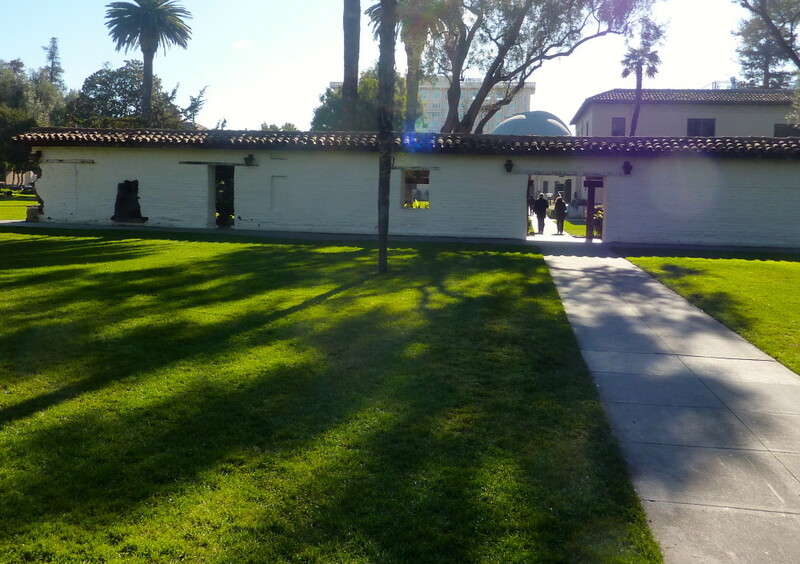 The only part of the original mission left is the outer wall. The church that stands here today (the sixth), was dedicated in 1928. 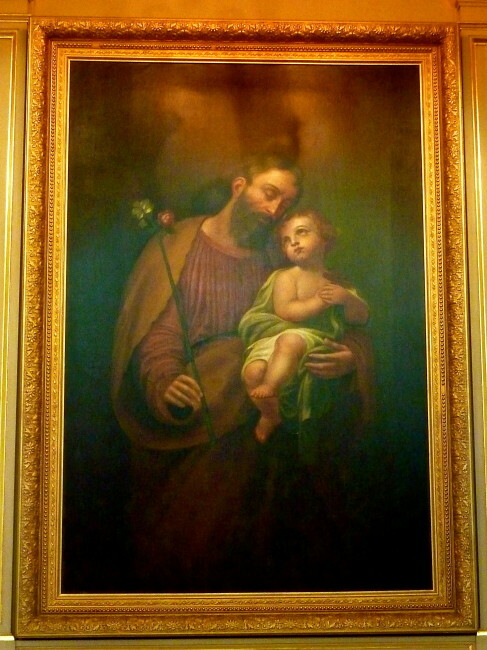 Next to the pulpit stands a 1930 Pearwood statue of John The Baptist. 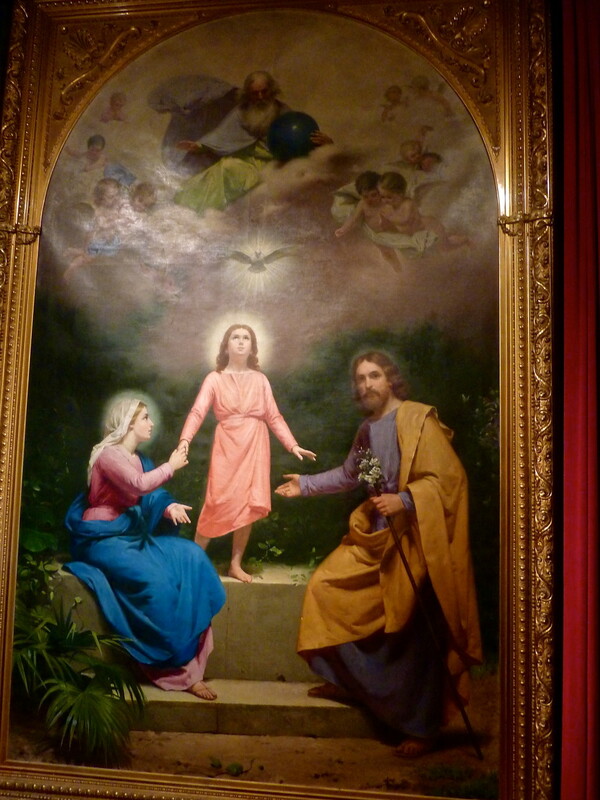 There are also some beautiful paintings inside. 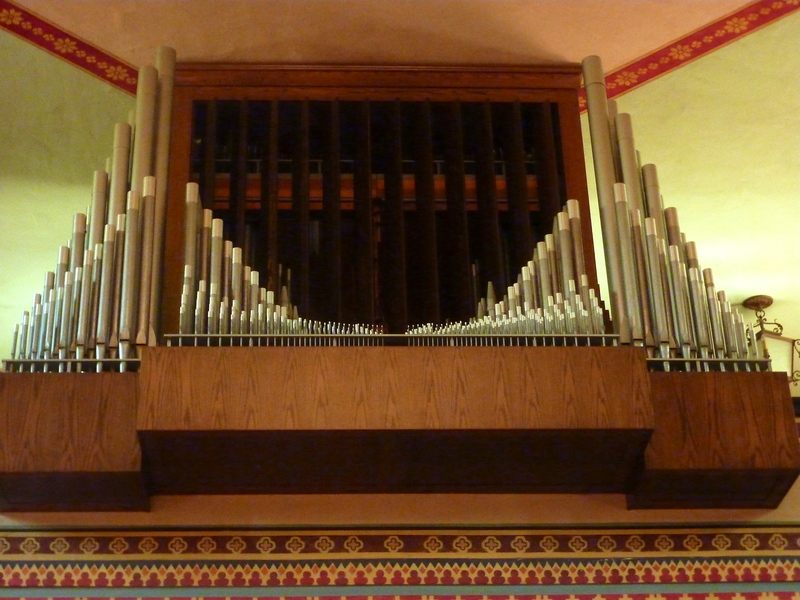 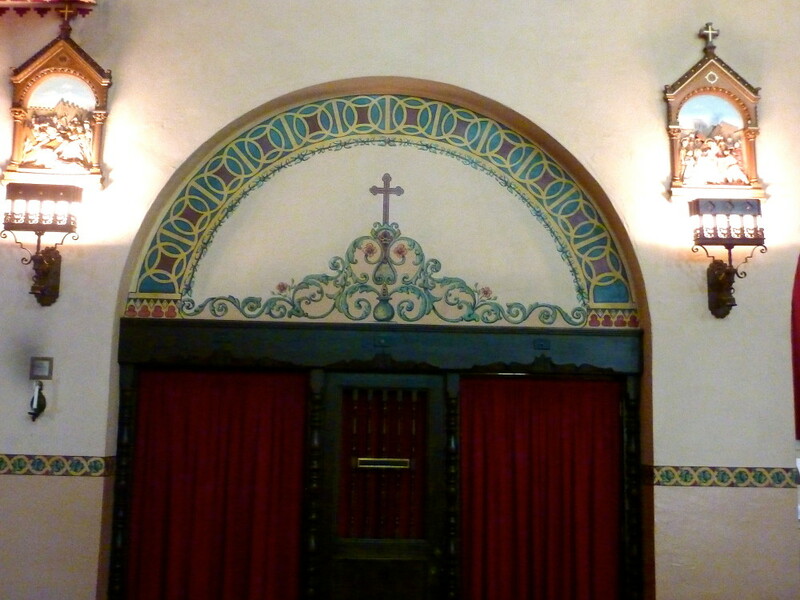 Also inside the church is a large organ and some interesting light fixtures. 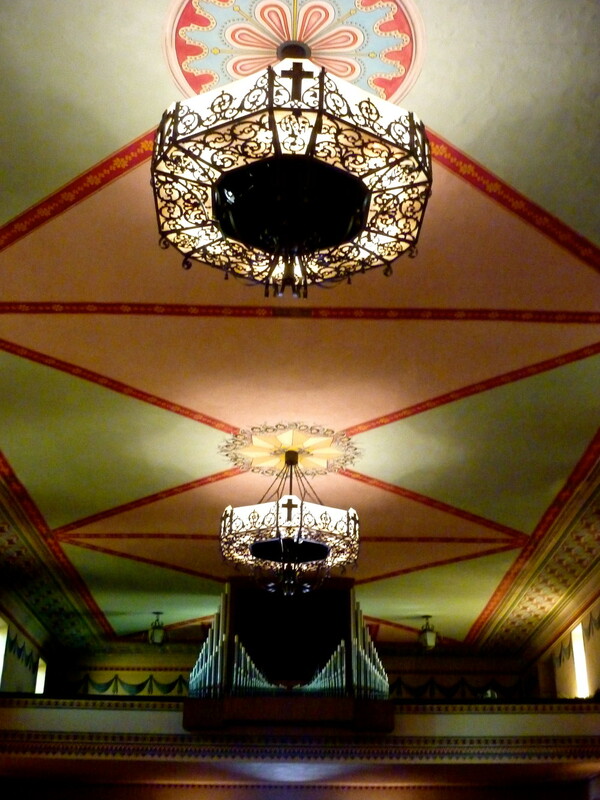 The ceiling is an exact reproduction of the one that burned in the 1926 fire. 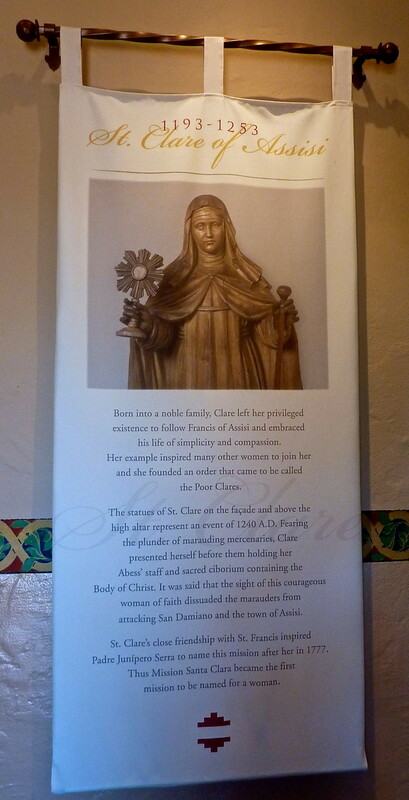 Of course, Clare is everywhere. There is also a garden dedicated to her. 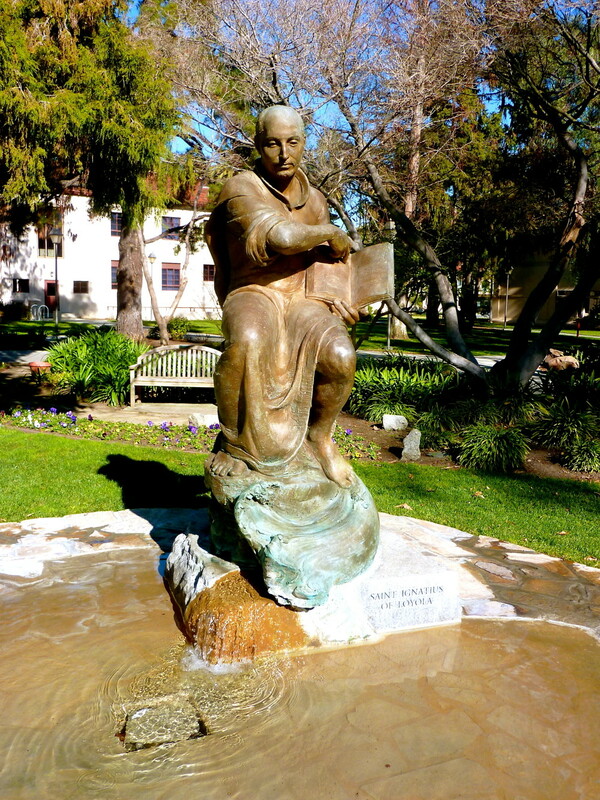 Also near the church is the requisite life-size statue of Junipero Serra and one of Saint Ignatius of Loyola, which is located across the street. 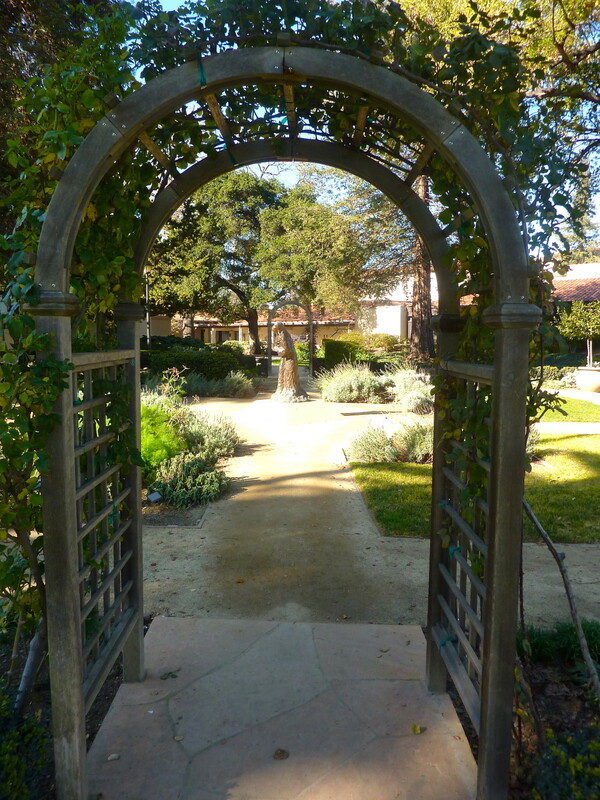 We stopped by the rose garden, sadly devoid of roses at this time of year. This is another mission that can be a quick stop. We only spent about half an hour touring the church and nearby gardens. 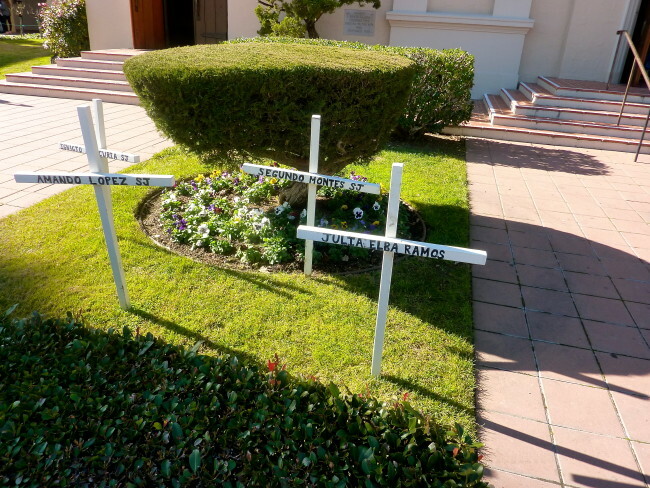 There are crosses in front of the church, but there is not a lot of literature to tell you very much about anything. 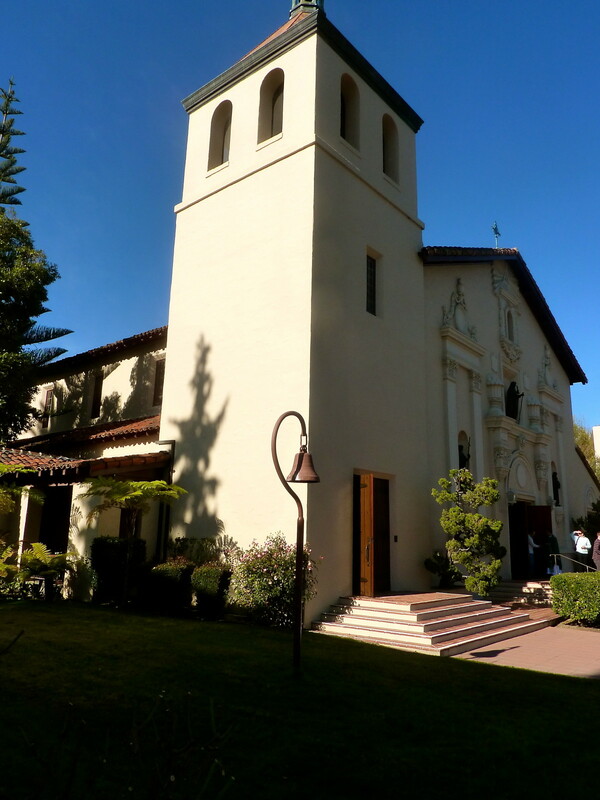 You cannot go up into the bell tower, which contains the original bells that were sent from Spain.